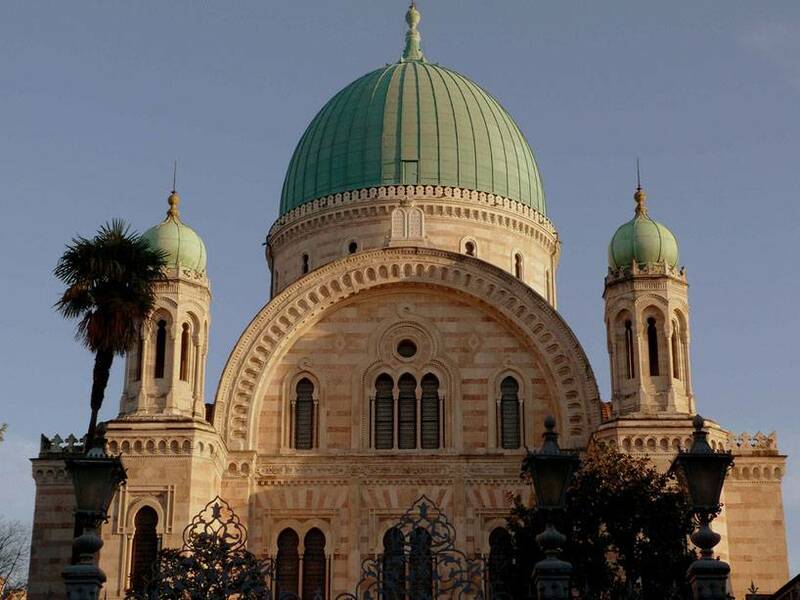 Discover the Jewish presence in Florence, one of the oldest and most important in Italy. The origin of the Jewish community of Florence dates back to the Roman period but only with the Medici family, Jewish religion, social and cultural life could flourish inside the Ghetto: Medici Family extended privileges and freedoms unavailable to them elsewhere in Europe. Our tour will include Florence’s Synagogue and the Jewish Museum offering an overview of the history of the Jewish Community. 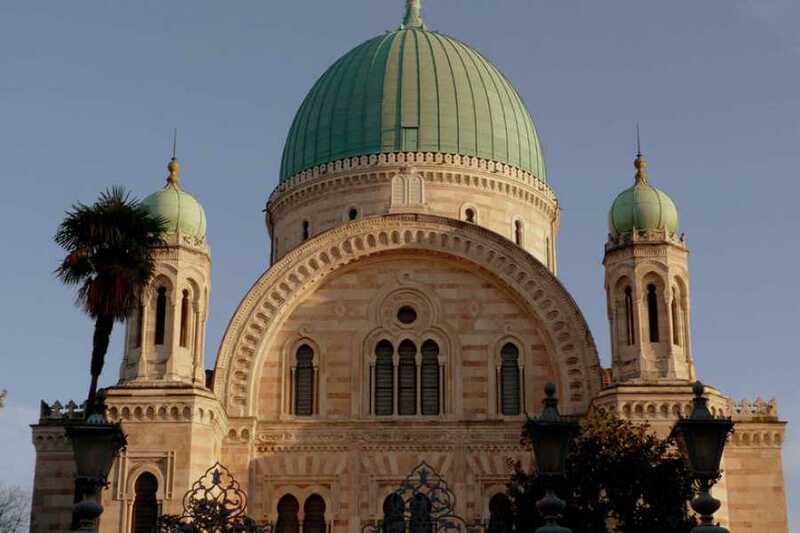 The Synagogue is considered one of the most beautiful examples of exotic stately Moorishstyle structure with an ornate interior and towering green dome in copper, inaugurated in 1882. A large memorial in the garden of the Temple lists the names of some of the Florentine Jews who were killed during the Second World War, including the chief Rabbi Nathan Cassuto. You will also have a chance to discover the medieval Basilica di Santa Croce, famous for its Giotto frescoes and the tombs of Michelangelo, Dante and Galileo. A Jewish architect, Nicolò Matas, designed the church’s 19th century neo-Gothic facade, working a prominent Star of David into the composition. The tour continues with Piazza della Repubblica, first city’s forum then city’s old ghetto and, in the 19th Century, on the occasion of Florence capital of Italy, turned into an elegant area. At the end of the tour, the old (ex-) Jewish Synagoge located in Via dei Ramaglianti, formerly Via dei Giudei ( Jewish street) . Tour can be extended to the 4 hours for a guided tour of the Old Jewish Cemetery located in San Frediano district. Eventual other language on request, supplement to be advised.